While most countries in the past focused on acute care to address the need of in-patients, increase in chronic diseases and aging population are causing the trend to reverse. In Singapore, it is estimated that over 20% of its residents will be aged over 65 years by 2030. Also with an increasing incidence of diabetes, chronic lung diseases etc. the need for a strong primary healthcare delivery has never been felt more. While the polyclinics provide highly subsidized care, the patients are assigned any doctor available. On the contrary in private clinics, patients could opt for the same doctor each time leading to better continuity of care. 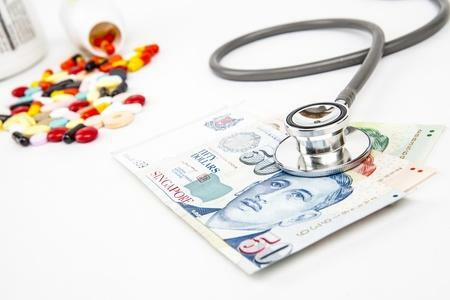 Despite clinical benefits, high subsidies continue to incentivize patients to visit polyclinics even as they battle high waiting lines and overcrowding. To counter the rising challenges, the Singapore government is planning a series of bold measures to expand access to primary care with various initiatives in healthcare infrastructure and labor force. As per the government, the country is likely to expand its healthcare manpower by adding 20,000 more personnel by 2020. Moreover, the community hospital beds are anticipated to be doubled to 3000 by 2020. There would be continued investment in primary care facilities including family Medicine centers, community polyclinics and health centres that will complement new ideas of integrated team-based care which target chronic patients at the community level. Even as the country continues to invest on adding 10,000 beds in acute hospitals, community hospitals and nursing homes in the following 5 years; the focus on improving primary care is likely to remain. The government is anticipated to take steps to ensure a broader role of family physicians in primary care due to their familiarity with patient history. This is likely to ensure that the patient footfall in hospitals reduces eventually while managing diseases at community level before they manifest into serious conditions. This strategy is part of the country’s bigger plan to expand healthcare delivery (“care beyond hospital walls”) by targeting and managing chronic conditions at local community level. At a commercial scale too, certain initiatives are being encouraged to improve community based healthcare delivery. Philips and EDBI (Singapore’s Economic Development Board investment group) agreed to form an MoU to invest in potentially high-disruptive digital health companies focusing on population health management. Target areas include tele-health and monitoring, health informatics and other services that seek to enhance care access to specific groups of patients. EDBI is likely to bring its vast regional knowledge and provide connections to investment sources and access to local and regional stakeholders. Philips on the other hand is expected to provide mentoring to develop and run a sustainable business. This would include access to the company’s cloud-based analytical solution that analyzes health data from numerous medical devices, to develop population health applications. Through this initiative, Singapore could potentially develop itself into a regional digital healthcare hub while generating business streams and promoting local healthcare network. Moreover, it would suitably align with the government’s priority to develop healthcare technologies to allow patients greater control over their health; thus creating a shift from a hospital-centric care provider model to local communities and homes.